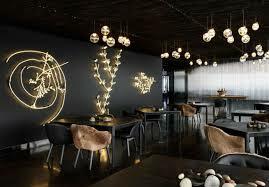 A list of best restaurants is given to help you to find out the best ones quickly. A fine restaurant at the Collins street. It serves some contemporary Australian dishes with a lofty quality. It may cost 600$ for two people. you may enjoy a nice view while dining. Amazing food with the amazing atmosphere is the blazing sides of this restaurant. Shannon Bennett is the man behind this perfect restaurant. If you want to find the best Japanese sushi then this is the restaurant you might be looking for. Refined Omakase sushi is served here with a great deal of amazing information about them. it is on the 4 lord street, Richmond. This restaurant is well known for its American BBQ and buns. You can enjoy here some basic food with great taste. The address is 456 high street, Preston, Melbourne. Heston, a great celebrity chef from Britain, is behind this restaurant. The food in here is a mix of traditional and modern. This unusualness of food makes the place a different one. It is near Southbank Melbourne. It may cost 300$ for two people. If you want to taste real contemporary Australian food, Amaru may be your destination. Nice food with absolute perfection is served here. You may encounter some of your old memories while eating at here. It’s on 1121 high street, Armadale, Melbourne. It may cost 450$ for two people. Flower drum restaurant for Cantonese food lovers. Attica for grand contemporary Australian food lovers & Rockpool Bar & Grill for seafood lovers. These above-mentioned restaurants are going to give you some exquisite taste of food and atmosphere. Dining at these places will be an unforgettable experience for you. Go there and have the best food at the Melbourne’s best restaurants.